Inspired by a link from here, I just sent my multivariable calculus kids an email. I ran across something so neat I wanted to share it with you immediatamente! 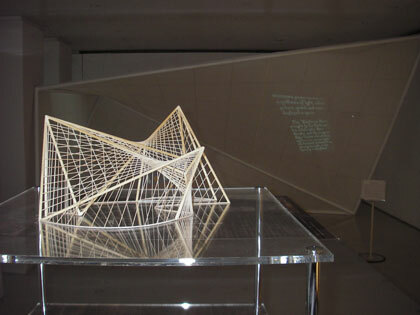 Google the “Philips Pavilion” — either in regular Google or Google Images. A stunning building. Also, a mathematical building. 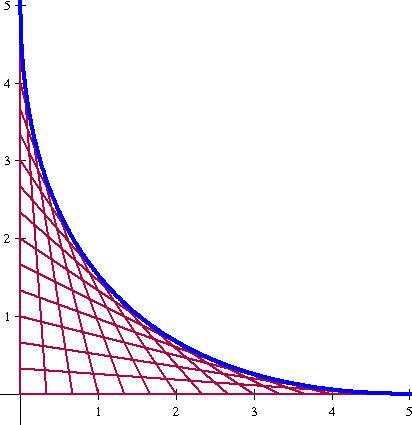 HELLO HYPERBOLIC PARABOLOID! I love this model that someone, somewhere built. I mean, it’s simple enough that one of you could build it. 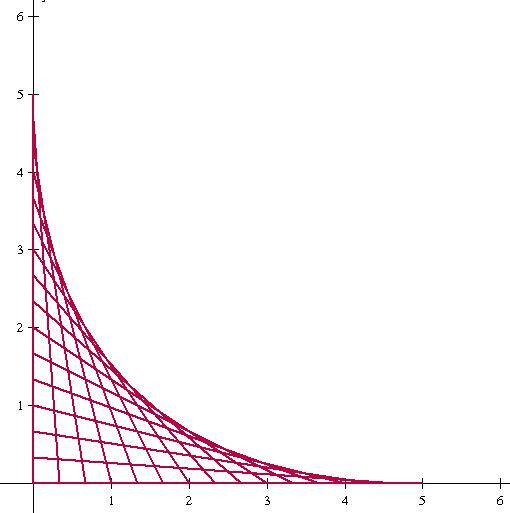 And the best part is… You can talk about the math and PROVE that the mesh forms a hyperbolic paraboloid. Anyway, and idea for a final project. In any case, I see this as the 3D extension to that problem. So keep it in mind for your final project. For me, the coolest thing about this building is the collaboration between Charles-Édouard Jeanneret-Gris (Le Corbusier), Iannis Xenakis and Edgard Varèse. 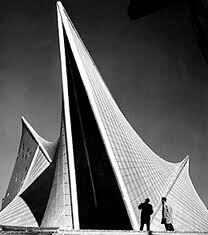 Le Corbusier was basically the architect, Xenakis was an architect/mathematician/composer and Varèse was a composer. I just love the uniqueness of the project. It’s possible to listen to the music that Iannis Xenakis and Edgard Varèse wrote to be played inside the pavilion too. The nearest Olympic-sized swimming pool to my home, when I was about 11, was also a parabolic structure…(Holt Street, Caia Park, Wrexham, United Kingdom… see if you can find it on Google maps!) maybe that’s where I got hooked on these kinds of thing! Another example of a hyperbaloid. This one is at Arizona State University.